It was back in the year 2005 that few established corporate businessmen and professionals realized the chronic issue of students migrating to other parts of the country for higher education that they came up with the idea of establishing a charitable educational institution by the name, Gyan Jyoti College. Thus,in the same year,these individuals formed a trust by the name Vivekananda Academic Foundation and adopted the principles of Swami Vivekananda to contribute to the society by creating exemplary human resources who can stand on their own in Society, as part of their corporate social responsibility. 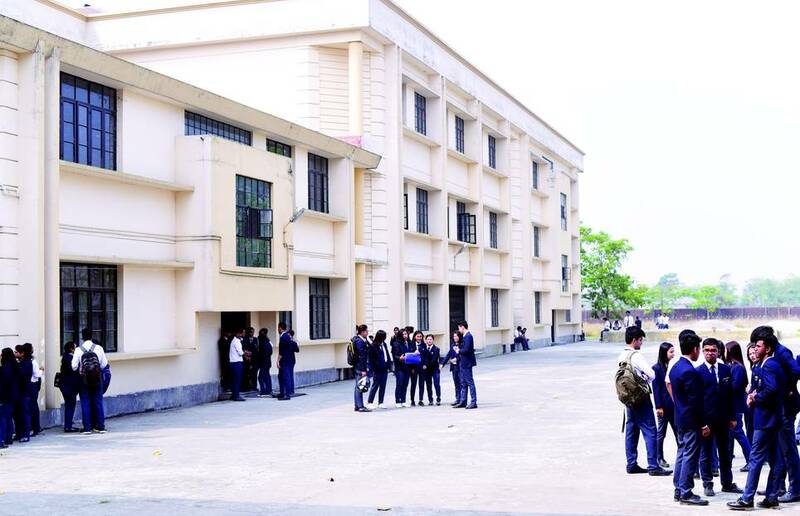 Gyan Jyoti College is a self financed College in North Bengal. The untiring efforts of the Board of Trustees coupled with the institution’s highly trained and dedicated teachers, brought unexpected results with students pouring in with the hope of enrolling themselves in the institution. The previous decade was a witness to how the college has grown, developed and unfurled itself. It is not that we have not faced competitions yet we have successfully encountered the tough challenges with time. Today the college has a respected and well-established alma-mater for over 2500 graduates of 15 disciplines in Science, Commerce, Management, Computer Applications and Humanities. It has been the pledge of the institution to provide an all round development to its students, many of whom are well placed in life in various enterprises nationally as well as internationally, and have added to our pride. The institution has been accredited by NAAC with Grade “B” in 2012, and it was a considerable achievement at the completion of the seventh year after the inception of the College in August, 2005. The ideals of Swami Vivekananda have been of great influence in sculpting the institution and its proteeges who have always received exhortation for reaching the pinnacle. They have also successfully contributed to enrich the cultural fagade of the institution apart from academics. Many of our students have topped university examinations , much to our pride. The institution has consistently aimed to go a long way, transgressing various constraints that has come up it’s way and hopes to conquer higher summits in the years ahead.